Welcome to the new Skyview Middle School library. 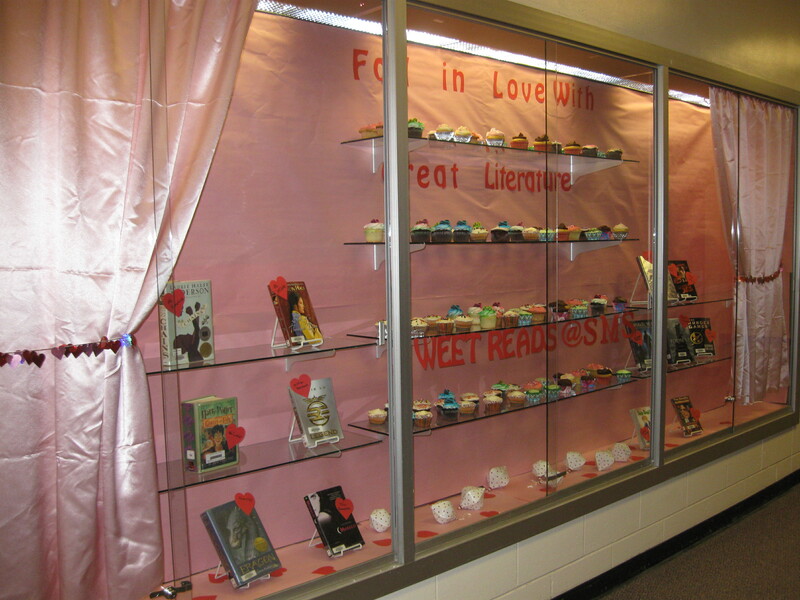 Here you’ll find thousands of books including the most popular and recently released young adult titles. We also subscribe to 16 different magazines for your enjoyment and to keep you current with events happening around the world. I am your librarian, Ms. McCabe. As a certified teacher with highly qualified status in middle school math and science, I am one of your greatest resouces here at SMS. Please come see me for assistance with all things literature related as well as help with homework assignments and special projects. Your library has access to art materials and school supplies for student use as well. Our library is open to students before school, during lunch breaks and after school. Feel free to drop by between classes to return books as well. The library is equipped with 28 computers for use by our student body making it the ideal location to gather in the morning to check email and Powerschool. Our tables provide ample space to finish homework. SMS also has WiFi available and the library is the only location students are encouraged to use personal electronic devices. 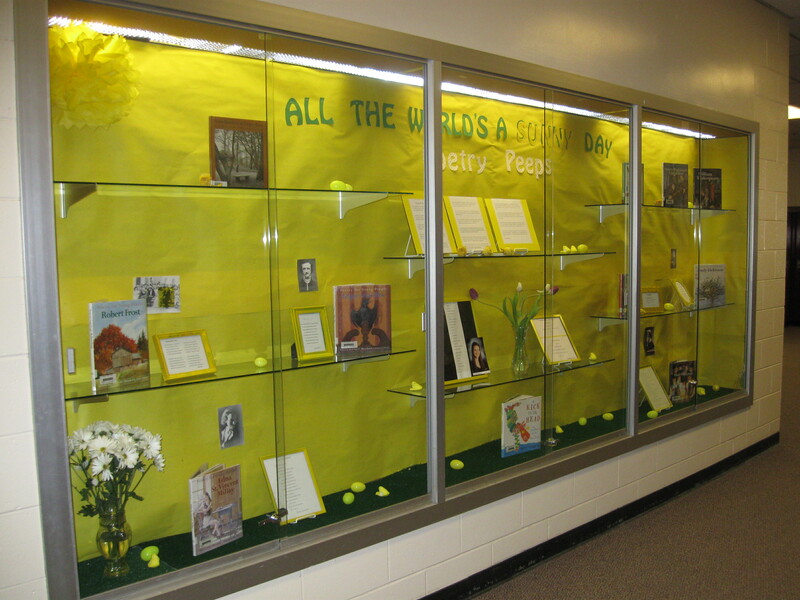 Stop by our display to read poetry written by SMS staff members as well as an award winning, former SMS student. Take time this month to read some thought provoking poetry. Expand your collection of childhood favorites and enjoy the timeless lines of Whitman and Dickinson. SMS students and staff now have access to KPBSD’s digital library. Students are encouraged to bring their digital devices to the library for assistance with downloading books and audiobooks. 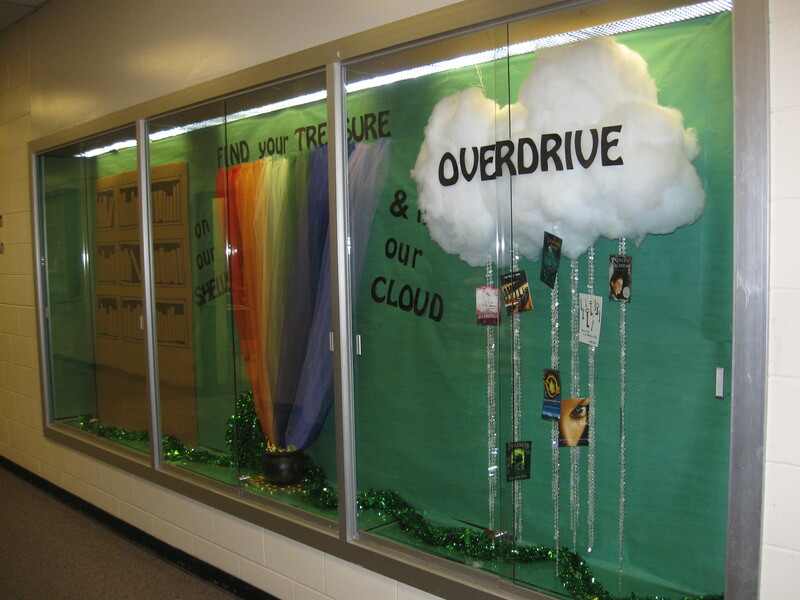 Students contributed to this month’s display by sharing their favorite book from our library. 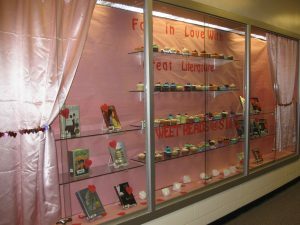 Remember that all books are available for checkout, including those featured in our hall display case. Click below to explore the resources. Feedback is highly encouraged.